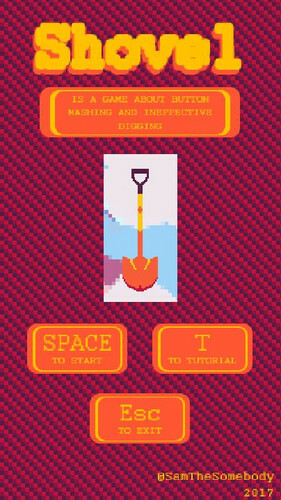 Shovel is a really difficult game about digging a hole in under ten seconds. When I say difficult I mean hard to learn and easy to master. Your score is entirely based on hitting cubes and completing a dig rotation. Besides, it looks really f*cking cool when you master it. 10 seconds or less; that was the theme for the first Game A Week. The really nice thing about this theme is that it sets the scope for the project very well. Mechanically speaking there's no point extending past a certain point otherwise it's wasted due to the sheer lack of playing time. Aesthetically, well... there's always room for improvement but that being said I'm pleased with the style, it's concise. 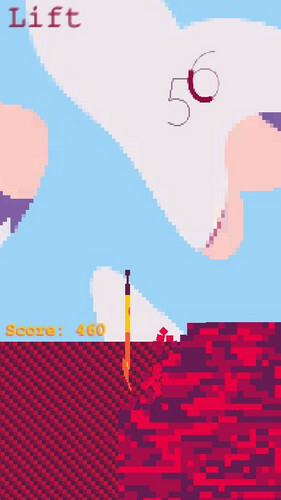 The catch 22 for this game is it's really steep learning curve. 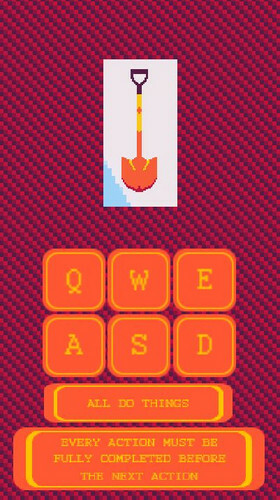 Furthermore isn't well explained but that was kind of the point, it's ten seconds, so this adds a certain level of replay-ability. There's a little bit of stuff that's kind of rushed but I can't really do much about it, one week isn't long.